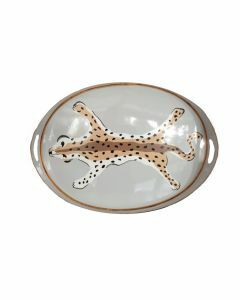 Bring out your animal instinct with this decorative oval serving tray in python print. 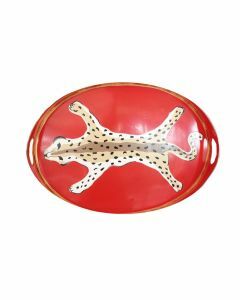 The tray measures 19‚Äù x 13‚Äù and is finished in hand painted tole. It is dry food safe. Click on image for greater detail.